In March of 1980, Frances Balodis sat at her kitchen table in Dartmouth, Nova Scotia, with a clear goal in mind: To create a program that would fulfill the need for quality music education for young children. Taking the experience from her education and 21 years of teaching, Frances, along with her husband Gunars, set out to create a comprehensive music education program tailored to the strengths and abilities of young children. Today, MYC® has more than 24,000 students annually, 900 teachers, and is taught on 3 continents. More than 400,000 students have attended MYC classes. Over time, the curriculum has been refined, reviewed and mastered to ensure that it is consistent and current with both conservatories and the music industry. Frances and Gunars have since retired and sold the business to their daughter, Olivia Riddell, who along with her husband David, continue to take MYC into the future. Music is a gift that lasts a lifetime, and all children and families deserve quality music education. 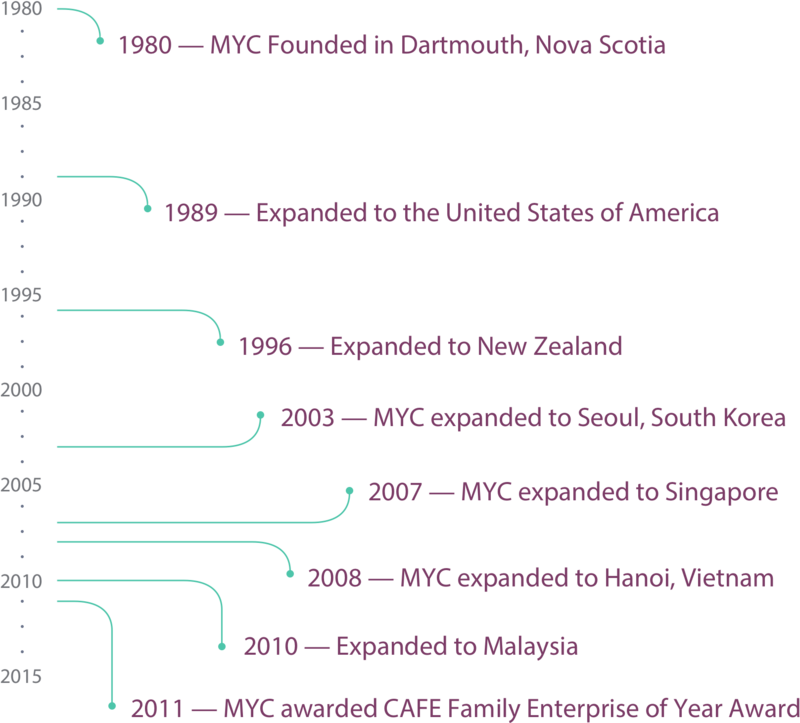 Here's a quick overview of MYC's journey over the last 38 years - from when and where we started, to when we started growing and where MYC has reached around the world.